when making choices for their son. to be his partner forever. how happy you are together. You are his wife and friend. you're a dear Daughter to me. 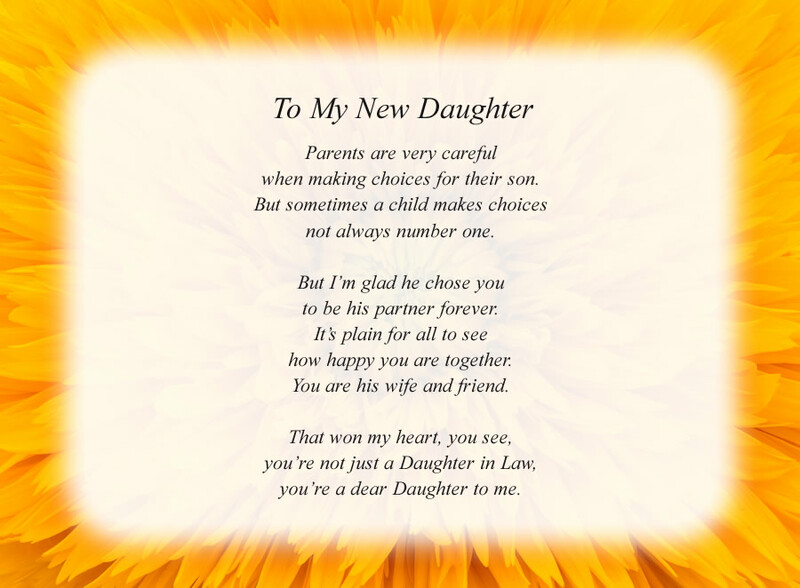 The poem, To My New Daughter, is free and printable by opening or downloading using one of the three links below.